There are a number of ways Drivers can alter their habits to increase fuel efficiency while on the road! With fuel prices on the rise, Drivers and carriers are looking for ways to increase fuel efficiency. While improvements in truck technology can help increase a truck’s fuel economy, driver behaviour largely impacts fuel consumption resulting in financial savings and less time filling up at the pump. Bison has put together the top five ways Drivers can increase their fuel efficiency on the road. We hope you’ll find them helpful. As professional truck Drivers, we have the advantage of being above the majority of the traffic, making it easier to monitor traffic and road conditions. By leveraging this advantage and staying focused on what’s going on around you, you can anticipate having to slow down or change lanes to avoid hazards on the road. In addition to keeping you safe, this will help keep the truck moving, reducing stops and gear changes which can have a negative impact on fuel consumption. Speeding has a negative impact on the fuel efficiency of your tractor, in addition to increasing the risk of accidents and fines. According to the American Trucking Association, a truck travelling at 75 MPH consumes 27 percent more fuel than one going 65 MPH, which translates to a significant fuel cost increase. Staying within the speed limit promotes safety, protects the environment, and puts more money in your pocket! In a vehicle as large as a truck, there is plenty of opportunity to use momentum and maximize fuel efficiency. When running through rolling hills or mountainous terrain, try to avoid heavy braking and instead use the momentum you build on a downhill to climb the next hill. Also, be mindful of traffic jams and stop lights. Coasting well before an anticipated stop will prevent braking heavily or changing gears rapidly, both of which hurt your fuel efficiency. When it comes to fuel efficiency, consistency is key. Cruise control keeps you at a constant speed and maximizes your fuel efficiency throughout your run. With that being said, there are situations where cruise may in fact hinder fuel efficiency, such as downhills, where it is best to disengage the cruise and allow your momentum to carry you for an extended period of time. Cruise control shouldn't be used in adverse conditions such as inclement weather. Arguably the easiest change to make, reducing your idle time has the potential to really improve your fuel performance. Cummins reports that every hour of idle time in a long-haul truck can decrease fuel efficiency by 1%, with trucks burning roughly 1 gallon of fuel per hour they idle. Those numbers may sound small but, with some Drivers’ idle time numbers hovering around 40 percent, fuel consumption adds up in a hurry. 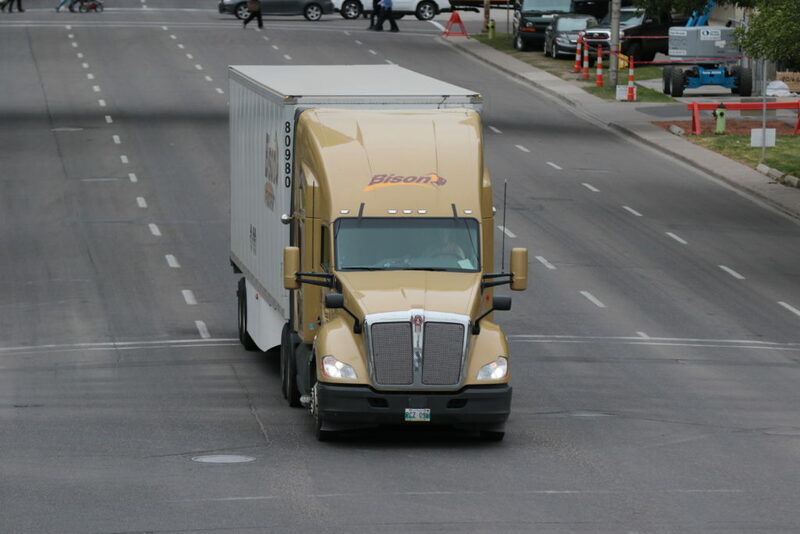 Bison Transport was awarded a 2016 SmartWay Excellence Award for industry leadership in environmental sustainability, and a large part of our ability to remain sustainable is the behaviours our Drivers display each day that help us to improve our fuel efficiency. If you are interested in driving for a leader in environmental sustainability, contact a recruiter today!